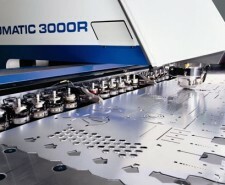 Computer numerically controlled (CNC) punching is a sheet metal manufacturing process that is carried out by CNC punch presses. 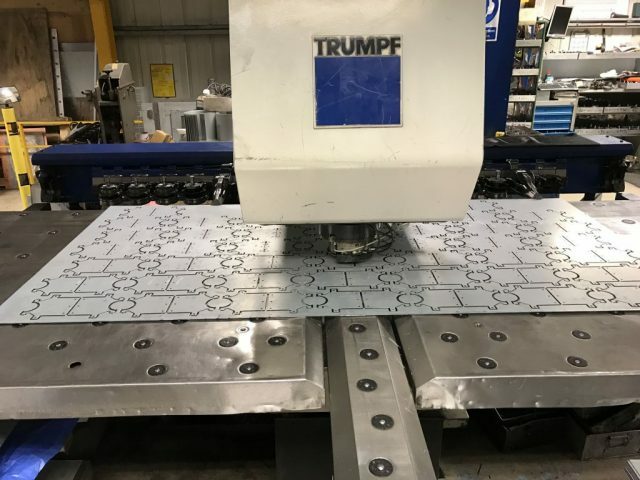 These machines can be either a single head and tool rail (Trumpf) design or multi-tool turret design. 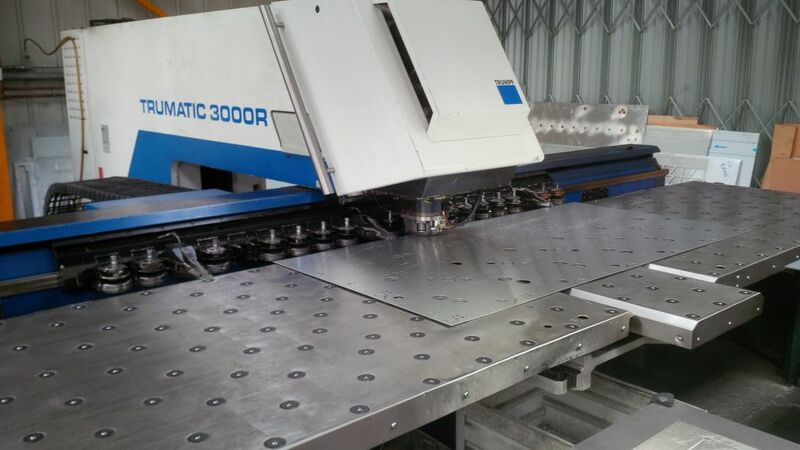 The CNC punching machine is basically programmed to move a sheet of metal in an x and y direction so as to accurately position the sheet under the machine’s punching ram ready to punch a hole or form. 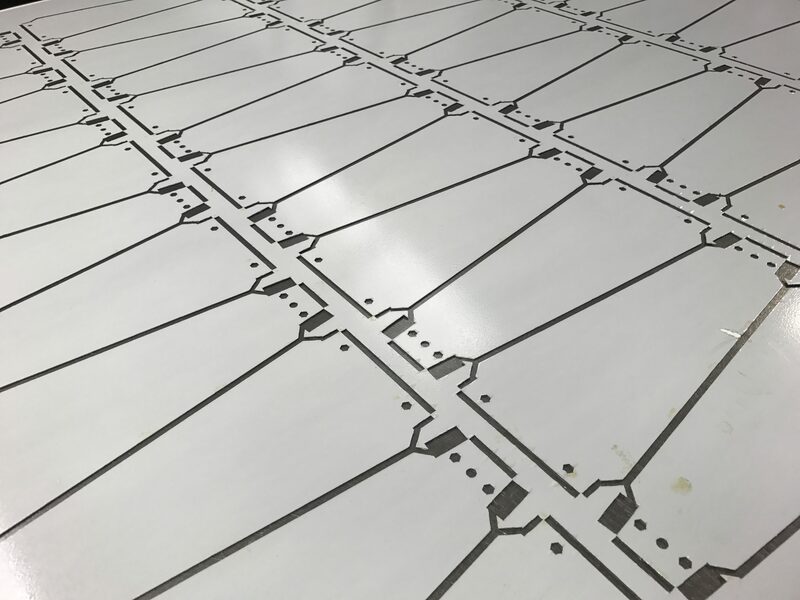 The processing range for most CNC punch presses is 0.5mm to 6.0mm thick in a range of materials including steel, zintec, galv, stainless steel and aluminium. The choice of hole punched can be as simple as a circle or rectangle right through to special shapes to suit a specific cut out design. 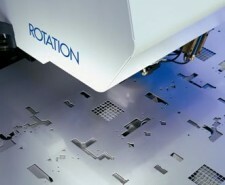 By using a combination of single hits and overlapping geometries, complex sheet metal component shapes can be produced. 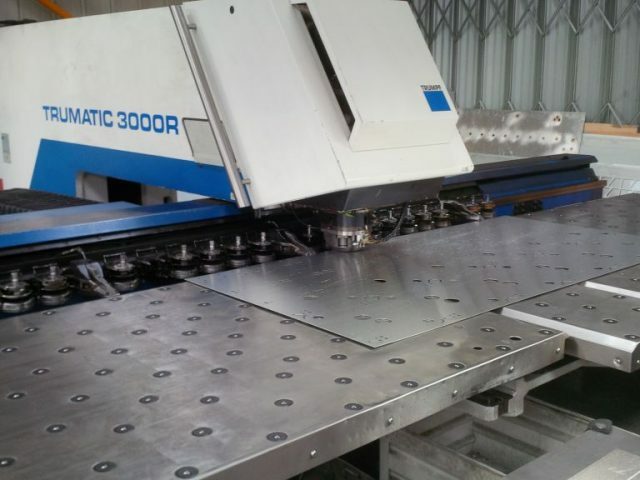 The machine may also punch 3D forms such as dimples, taptite® screw thread plunges, and electrical knockouts etc on either side of the sheet, which are often employed in sheet metal enclosure design. 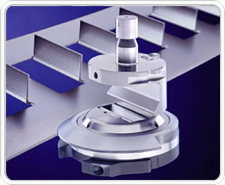 Some modern machines may have the ability to tap threads, fold small tabs, punch sheared edges without any tool witness marks making the machine very productive within the component cycle time. 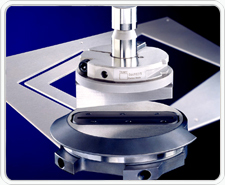 The instruction to drive the machine to create the desired component geometry is know as the CNC program. CNC programming is the computer aided manufacturing (CAM) side of the CAD/CAM cycle. Information about a design may be presented in a 2D format such as DXF or DWG files or a 3D file format. This information is then used to create the flat sheet metal pressing and assign the correct tooling to create the desired component. The software can also be used to establish the most efficient layout of components from a given size of sheet metal, known as the CNC nest. 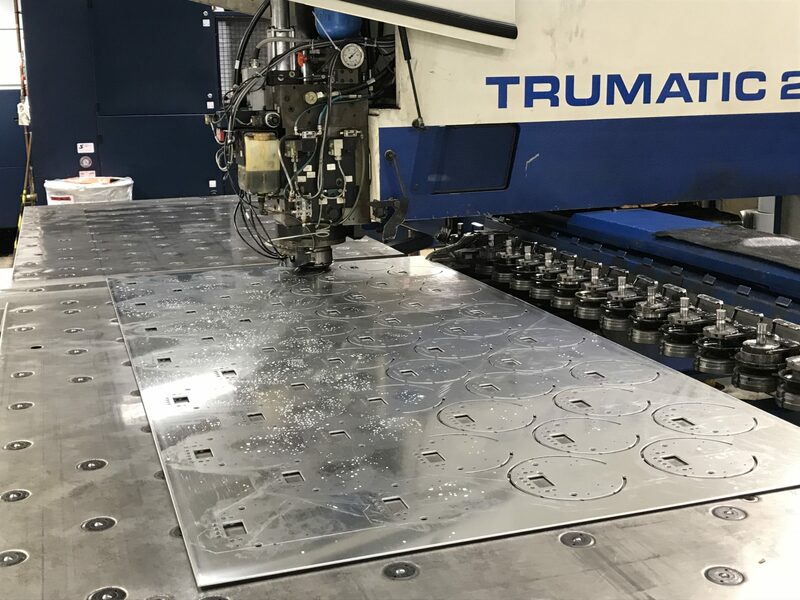 Obviously, the more components that can be produced from a panel of sheet metal the cheaper each CNC punched component will become. 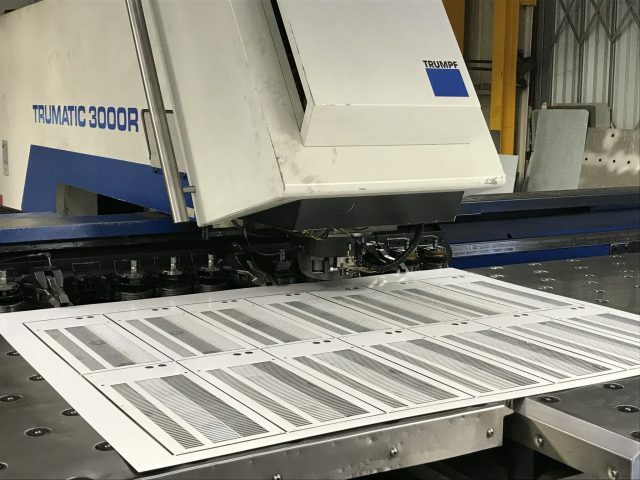 Modern software packages such as Radan® can help to automate this process to achieve the maximum yield from a given sheet metal panel. As a designer of components that will be CNC punched, you do not need to know the exact details of how this may be achieved but it may be useful to bare the following in mind when designing a component that is to be CNC punched from sheet metal. 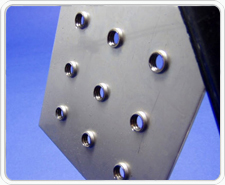 Hole diameters should ideally be no smaller than the material gauge of sheet metal being CNC punched. Plunged forms from the parent sheet metal with tapped holes can save money when replacing threaded inserts. 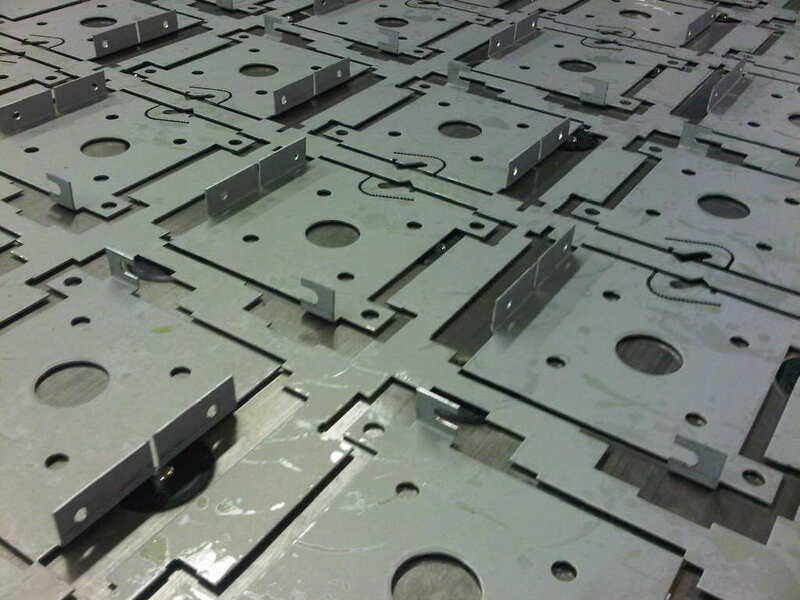 Plunged forms from the parent sheet metal unthreaded ready for taptite® screws can save money on the insertion of threaded inserts and the cost of masking threads if the component is to be painted. These features also enable a self tapping screw to cut into more material than just the sheet metal gauge reducing the risk of stripping the thread if the screw is over tightened. Engraving tools can be used to identify parts with part names, issue levels, customer or product names. Often when manufacturing sheet metal fabrications for a customer they want to be able identify the part in their stores area or in production. 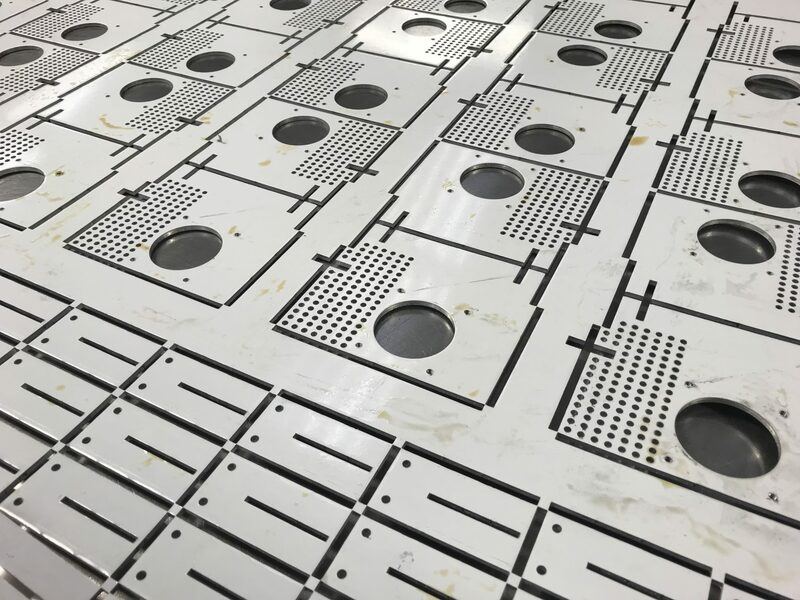 Sheet metal parts which are then used in the field may need to be identified for spares and servicing, CNC engraving can be a useful solution. If there is a large volume of parts required then a dedicated CNC tool stamp can be used but if there are a range of different sheet metal parts and only small to medium volumes then CNC engraving on our Trumpf 3000R is the most efficient solution. We use a stylus that vibrates 1000′s of times a minute to mark the surface of the material. 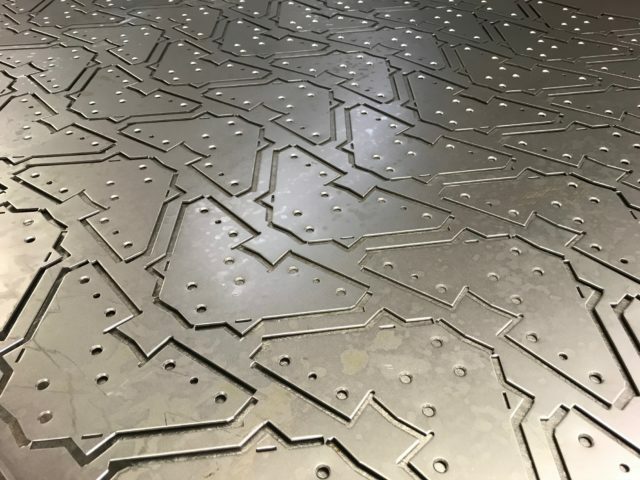 An added advantage of using a CNC punch press to do this engraving is any changes to the information required by the customer in their part number; issue level etc can simply be reprogrammed without any cost to you. Toy tags can be used to aid the assembly of small light weight parts instead of screws. These features are often useful when designing reflectors for light fittings. 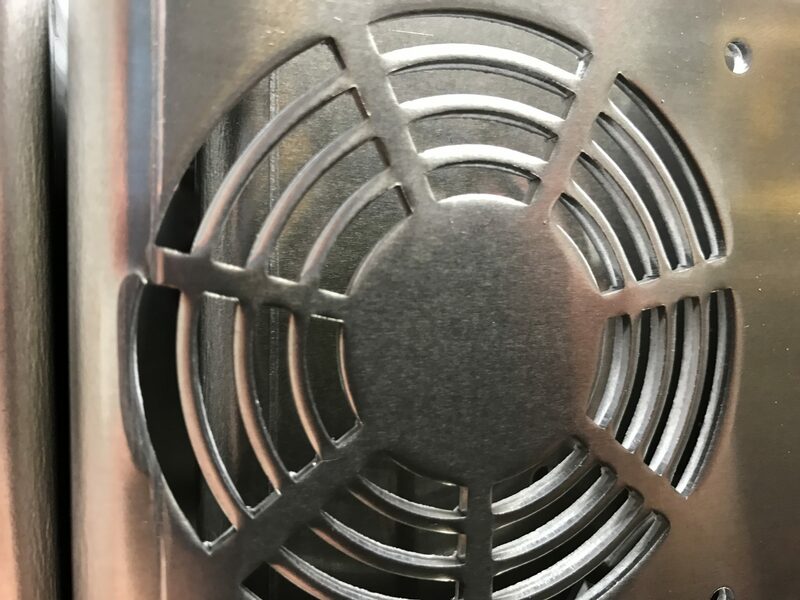 Where no great strength is needed in the finished part and the parent sheet metal can be easily bent with your fingers, toy tags can become a useful design solution. Toy tag assembly can also be a useful method of assembly in production too if you want to receive your parts as a flat pack kit and clip all the parts together yourself. This can also be helpful when you have several designs with common parts that can be stocked and used as each order for a variant is received. We have a growing section of case studies within the website which illustrate these design ideas and enable you to fully benefit from the versatility of CNC punching sheet metal work, please take a look for yourself to learn more. For more information on all our standard CNC punching tools please take a look in our design data pages.